"Sampath Speaking" - the thoughts of an Insurer from Thiruvallikkeni: menagerie a trois ~meerkat keeper; llama keeper and monkey handler !! menagerie a trois ~meerkat keeper; llama keeper and monkey handler !! llama (Lama glama) is a domesticated South American camelid, widely used by Andean cultures since pre-Hispanic times. They are very social animals and live with other llamas as a herd. The wool produced by a llama is very soft and lanolin-free. Llamas are intelligent and can learn simple tasks after a few repetitions. Remember seeing them in Shankar’s Indian. I had posted about that 1996 Kamal starrer – but this post is on a different topic. The hit film directed by Shankar, written by Sujatha had Kamal in dual roles [Senapathy was exceptional] with Manisha Koirala, Urmila Matondkar, Sukanya appearing in pivotal roles. The main storyline focussed on a sincere freedom fighter turned vigilante bent on rooting out corruption and his son facilitating corrupt practices leading to unfortunate events. In between the serious scenes, there was tiffs between the heroine Aishwarya (Manisha Koirala), the animal lover battling Sapna (Urmila Matondkar), the daughter of a RTO official. Manisha bringing a camel would be taunted by Urmila ! – both the ladies fighting for the hero !! The meerkat or suricate is a small carnivoran belonging to the mongoose family. Meerkats live in all parts of the Kalahari Desert in Botswana. A group of meerkats is called a "mob", "gang" or "clan". A meerkat clan often contains about 20 meerkats, but some super-families have 50 or more members. Most of us would have seen them in Discovery, Animal Planet, National Geographic channels with a few standing out looking out, watching for predators with the group busy foraging - a sharp, shrill call is the signal for all to take cover. Out in UK, a meerkat expert has been ordered to pay £800 compensation after glassing a love-rival monkey handler in a row over a llama keeper at a Christmas party. 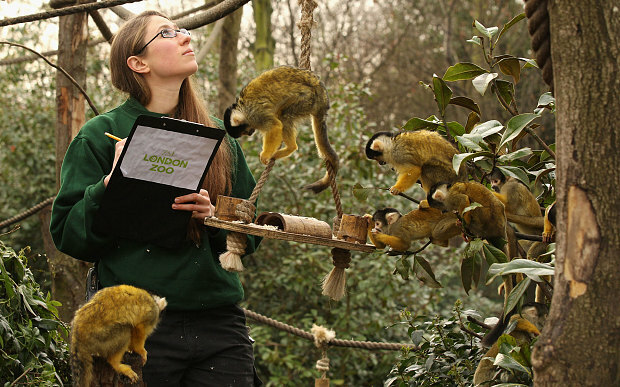 Caroline Westlake and her colleague Kate Sanders came to blows in the London Zoo's Prince Albert Suite in a jealous feud over Adam Davies, who has dated both women. In a case branded a "menagerie a trois", former zoologist Caroline Westlake smashed Sanders in the face with a wine glass after overhearing her insulting her looks earlier in the evening. 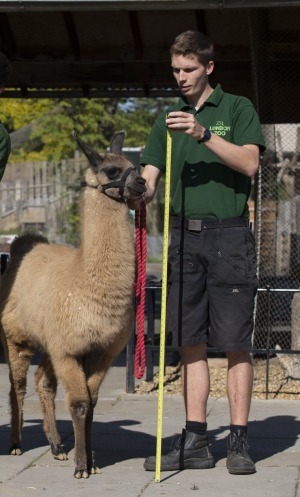 It was Llama keeper Adam Davies who reportedly was at the centre of a love triangle that caused a violent row between rival keepers at London Zoo. The 30-year-old wept in the dock as she was sentenced to a 12-month community order and ordered to pay £800 compensation to Miss Sanders and £200 prosecution costs at Westminster Magistrates' Court on Wednesday. In an impact statement, Sanders said she has been left with an ugly scar on her cheek "which will be with me for the rest of my life". "I have to see that scar every day when I look in the mirror," she said. Miss Sanders said she suffers from nightmares and stress and is afraid to leave her home "for fear of running into Caroline or her friends". "I think about it every single day at work and feel a black mark has been placed against me that may affect my further promotion," she said. District Judge Jeremy Coleman described the injury as "nasty" and told the defendant she was fortunate not to have been convicted of a more serious charge. "It's an unpleasant injury to someone's face which makes it rather worse," he said. "It was caused by a glass so an object was used, so really a more serious charge against you could easily have been justified." Westlake alleges her fellow zoo keeper punched her in the face first and held her over a balcony while spitting in her face. Earlier in the night on December 8 last year, Westlake heard Sanders asking friends in the toilets: "Have you seen the state of her?" Prosecutor Daniel Geller said: "Miss Westlake hit Miss Sanders on the side of her face. She was holding a wine glass in her hand and it's the glass which made contact with Miss Sanders's face. "The glass appears to have broken on contact because it caused a cut to Miss Sanders's face, a cut which was bleeding. Obviously very surprised by this, Miss Sanders stretched her arms out in defence, pushing Miss Westlake back by her neck." Miss Sanders was rushed to hospital and had to have a total of five stitches, the court was told. Westlake, who was sacked by the zoo after the incident, had been seeing Mr Davies for a year at the time, and he had previously had a five-year relationship with Sanders. Suzanne Kelly, representing Westlake, disputed the number of stitches Sanders received and insisted she had struck the first blow. She added: "This is not a case where somebody has deliberately sought to inflect injury on another person. The complainant must accept some responsibility for the injury that occurred." She told the court an employment tribunal had found Westlake was unfairly treated when she was sacked by the zoo. Ms Kelly added: "The defendant has lost her livelihood, her means of income. She has lost her good name." Westlake, who is appealing against her conviction, was ordered to carry out 80 hours of unpaid work over 12 months. She was also told to pay a £60 victim surcharge on top of £800 compensation and £200 court costs. Judge Coleman said: "I take into account the fact that you are of previous good character and that as a result of this, apart from all the upset, you have lost your employment." A good storyline for Kollywood perhaps ! !